In this business, cheap rarely pays off. 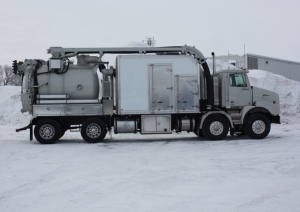 You have purchased a Supervac not only for our expertise in rough terrain handling, but also because you have better things to do than worry about the reliability and durability of your equipment. That is why you must insist on Supervac Original Parts when replacing a part during scheduled service or maintenance. Supervac Spare Parts are identical to the parts used at original production. They’re your assurance that your equipment will retain its original build integrity whilst providing continuation of operation.